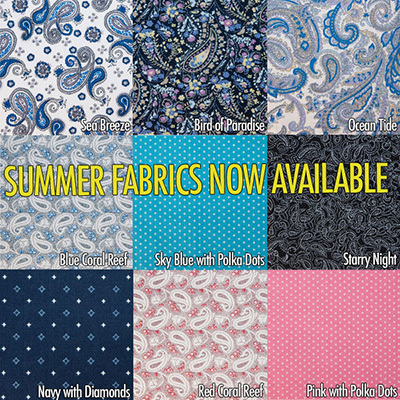 We have hundreds of fine fabrics to choose from, in a range of patterns, styles and colours to suit everyone. If you have something specific in mind, use our filter functions – or simply browse our huge range and discover your perfect garment. Use our Shirt Creator to design a shirt that is personal to you. Choose every aspect; collar, cuffs, pockets, sleeves and even initials. Thousands of personalised combinations are available. If it is trousers you are buying as well, we also have a Trousers Creator for you to use to personalise your order. Pockets, buttons and waist adjusters are just some of the customisations you can make. Our tailors are very precise and require as much information from you to make sure each shirt is the perfect fit for you. Set up an account and we will store your measurements for future purchases. All sizes, one price. Each shirt is hand finished by our experienced tailors and will be delivered to your door within 35 days. We guarantee the quality of our workmanship and materials. Any complaints are dealt with sympathetically by our customer service team. After all, we aim to serve you with shirts for years to come and need you to be delighted with your purchases. However, as every item is made specifically for a customer, we are unable to offer a refund in the unlikely event of late delivery. Please allow up to 35 days for delivery to your door from receipt of order. Postage cost for all orders is £6.95. Order online, by telephone, email or by post. We accept payment via MasterCard, Visa, Maestro, Delta, Cheque or Postal Order. Call us on 01789 205 612, email info@exacttailoring.com or use our secure online booking service.